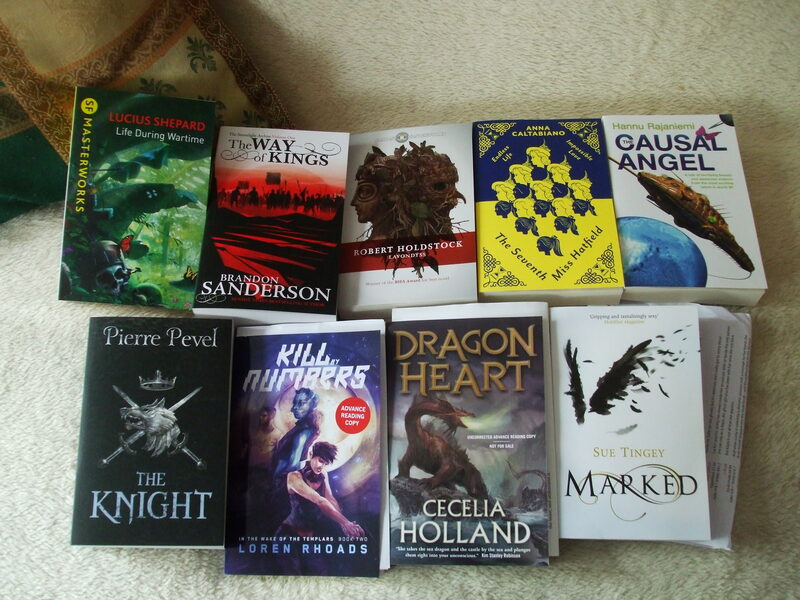 Courtesy of Gollancz: Lucius Shepard, LIFE DURING WARTIME; Brandon Sanderson, THE WAY OF KINGS; Robert Holdstock, LAVONDYSS; Anna Caltabiano, THE SEVENTH MISS HATFIELD; Hannu Rajaniemi, THE CAUSAL ANGEL; Pierre Pevel, THE KNIGHT. Courtesy of Night Shade Books: Loren Rhoads, KILL BY NUMBERS. Courtesy of Tor Books: Cecelia Holland, DRAGON HEART. Courtesy of Jo Fletcher Books: Sue Tingey, MARKED. Pierre Pevel’s THE KNIGHT, translated from the French. 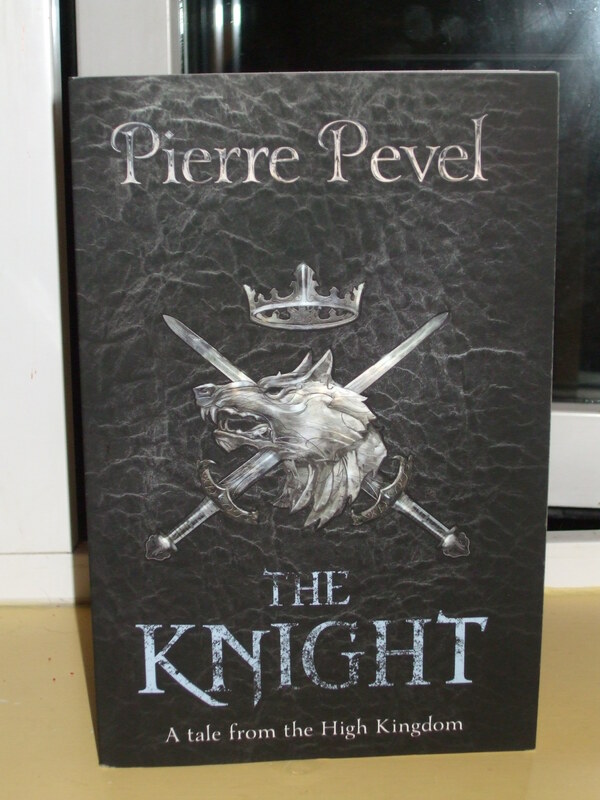 Pierre Pevel, THE KNIGHT, from Gollancz. Supposed to review this one at Tor.com soon.